In addition to using good management practices to protect and improve water quality in your home, yard or farm, there are also opportunities for volunteers to help with District projects or events. There are lots of ways you can help improve water quality! 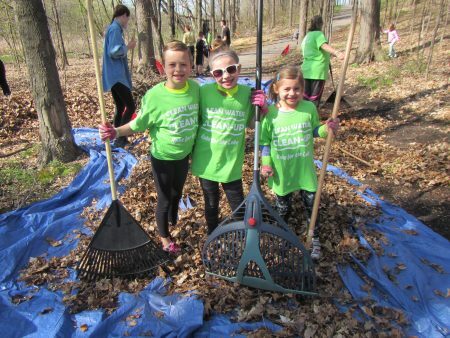 Every spring and fall we host a Clean Water Clean-Up event to rake up leaves and remove buckthorn. This prevents the leaves from being carried down the storm drains into the lakes. Leaves contain significant amounts of phosphorus which can contribute to algae growth in lakes during the summer. Buckthorn is an invasive species which often takes over wooded areas, crowding out native species and degrading wildlife habitat. The Spring 2019 event will be held Sunday, April 28th from 9:00 – 11:30 am at Fish Point Park in Prior Lake. Volunteers are needed to help remove buckthorn and rake leaves at the park. Light snacks will be provided and volunteer will be entered to win door prizes from local businesses. Sign up for the event is quick and can be found here. In case of inclement weather, the Spring 2019 clean-up backup date is Sunday, May 5. Questions? Email Kathryn at kkeller-miller@plslwd.org or call the District office at 952-447-4166. At the Fall 2018 event at Sand Point Beach Park, over 50 volunteers helped rake 2.5 tons of leaves, remove a truckload of buckthorn and plant 55 shrubs at the park! Check out our Facebook page for pictures from the event! Don’t miss an event! Sign-up to receive an email reminder. Email kkeller-miller@plslwd.org to be added to the notification list for this free, family-friendly event. The District hopes to host a carp seining event later this year. We will need volunteers to help sort, weigh and measure the carp we catch. Please contact Kathryn Keller-Miller at kkeller-miller@plslwd.org or Maggie Karschnia at mkarschnia@plslwd.org or 952-447-9808 if you have questions, are interested in volunteering or want to be added to the seine notification list. The District has several shoreline and other restoration projects and occasionally needs volunteers to help out with plantings or other items. To be notified when volunteers are needed for restoration events, please email Kathryn Keller-Miller at kkeller-miller@plslwd.org to be added to our volunteer list. One of our projects restored 300 feet of shoreline along the north side of Spring Lake. For more information, visit our Spring Lake Shoreline Restoration project page.